Berlin is not a city of breathtaking architecture, magnificent vistas or glamorous chic, but definitely full of character and life. It's small enough to get around on its excellent public transport system, but big enough to make exploring worthwhile. Each "Bezirk" (borough) has its own distinctive character and characters. Since the Wall came down Berlin has also been the city of cranes as massive building and renovation projects dramatically change the face of Germany's revived capital. But the flavours of the east and west halves remain distinct. The outlook of the inhabitants of each half are still marked by political, social and educational separation of over two generations. The opening of Berlin has also meant that this once provincial and insular anomaly is transforming itself back into the multicultural metropolis it was in pre-Nazi times. About time too. Multiculturalism DOES work, despite any doubts raised recently by certain politicians and media pundits. It is not easy, but it is possible, necessary, essential and wonderful. Come to berlin and experience it for yourself. 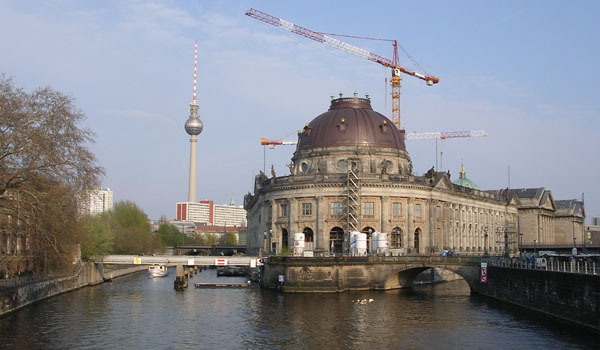 Berliners can boast a number of world class museums and a plethora of art galleries. With four universities as well as smaller educational establishments, there are plenty of young people making the most of the innumerable theatres, cinemas, bars, restaurants, clubs and impromptu party locations. Many artists and musicians also choose to live here, and the arts scene is lively if not economically booming. Seasonal changes are abrupt. One day the screech of summer swallows is suddenly missing, and temperatures plummet into autumn. Then, one morning in early November you'll wake up to find everything covered in snow. In winter the river Spree regularly freezes over and people face the icy winds clad in layer upon layer of clothing - the so-called "Zwiebelprinzip" or onion principle. At the first sign of spring sunshine Berliners rush to meet and bask at tables outside cafes. In summer there always seems to be some kind of outdoor festival or event going on in the streets and squares, and families and friends picnic and barbecue in the city's parks. and an emphasis on socio-political and environmental issues relating to the developing world. Each year Weltfest focuses on a different theme. On 2 June 2007 it will be "Children's Rights Worldwide". dancing, workshops and childrens' entertainment. Come along and be a part of it. and comes here as often as he can. Never often enough, Hugh. Rue Bunte is a quintessential Berlin arts location. and other events attract audiences "who know what's happening". Now and again they even plan and publicize such events in advance. The website of the emerging Berlin music label Goldmusik of songwriter Sebastian Zukunft. Zukunft (his real name) is German for future. German acoustic pop at its very best.